Last week I was a little M.I.A. but actually this whole month I’ve been a little distant and as some of you might have gathered from my spartan posts and social media updates I’ve been travelling. Now I’m finally back home in our little red house in Sweden and it feels so good. I’ve been able to get a lot of things done today that I’ve been wanting to finish and sort out for so long, yes! One of those things has been to edit this ‘what I ate’ vlog from almost a month ago, omg, of when my awesome friend and fantastic yogi Faye came to visit. We spent the day planning and brain storming for some upcoming events that we want to put on together. They will be the perfect marriage between soulful sweaty yoga and nourishing vegan meals. And! The most exciting part about this post, in my opinion, is the fact that we will be hosting our first event this month. 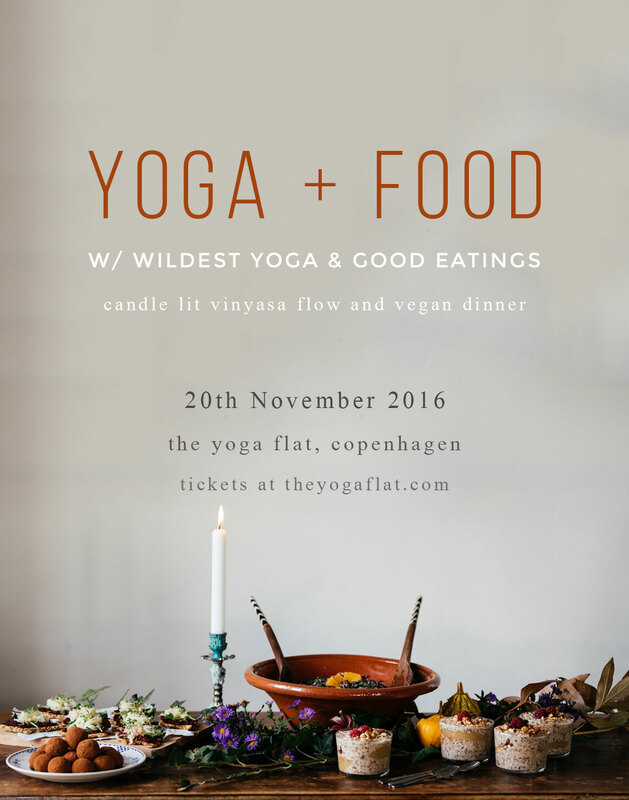 On November 20th, between 16.00-19.30, Faye and I will be ready at The Yoga Flat in Copenhagen to treat our guests to a cosy evening filled with fun asanas, a well deserved savasana and three courses of vegan yumminess. We’re also planning some other treats for our guests but that’s secret for now, but make sure to follow my instagram and facebook for sneak peaks of the preparations. 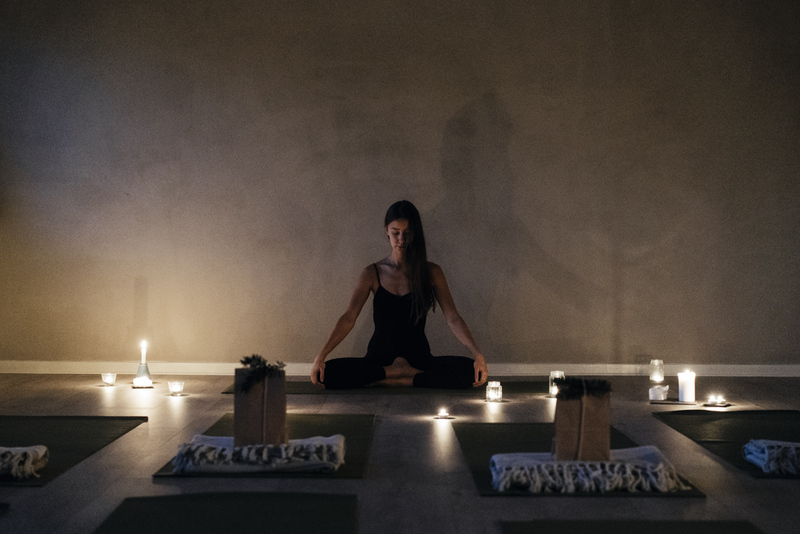 Tickets will be 300 dkk and include a candle lit vinyasa flow led by Faye with her magical singing bowl, a three course warming and nourishing vegan meal prepared for you by myself and some other treats along the way.